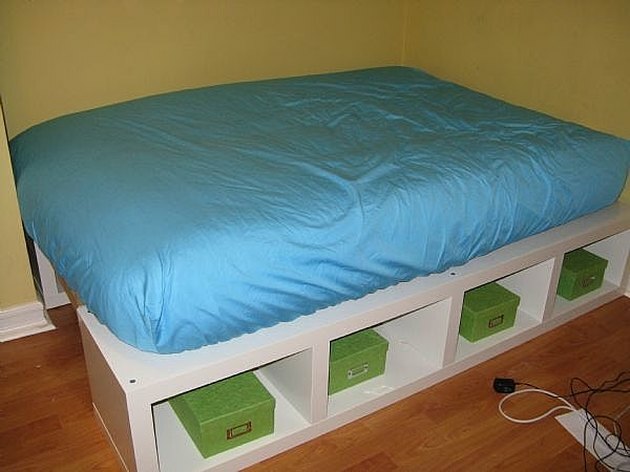 Follow these simple instructions to build your own full sized modern platform bed with storage using IKEA's LACK storage units, or another storage unit of your choice. Follow the IKEA assembly instructions to build two LACK shelving units. Place the units parallel to each other, on their sides, 25 inches apart. 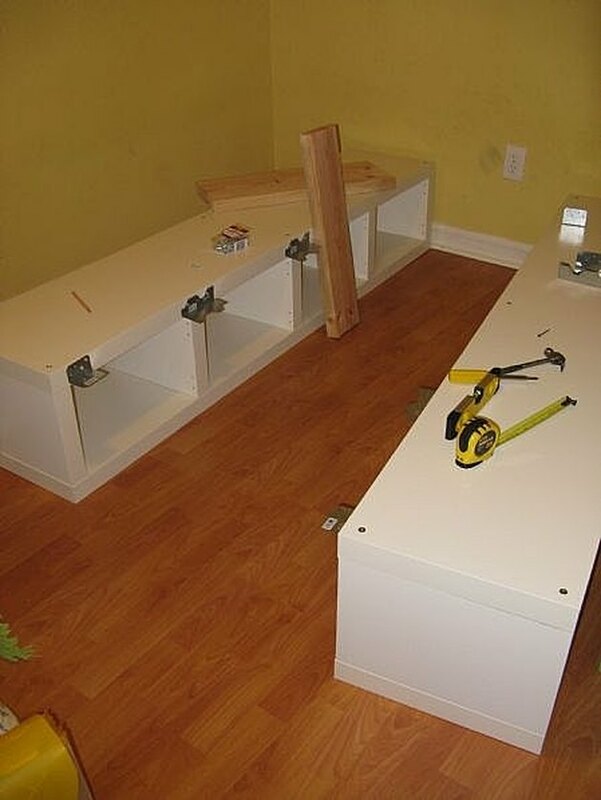 Securely screw the brackets into the shelving unit so that the wood planks will be flush with the top of the platform and even across the length of the bed. Place the wood support planks between the support brackets and connect to prevent any shift of the planks. 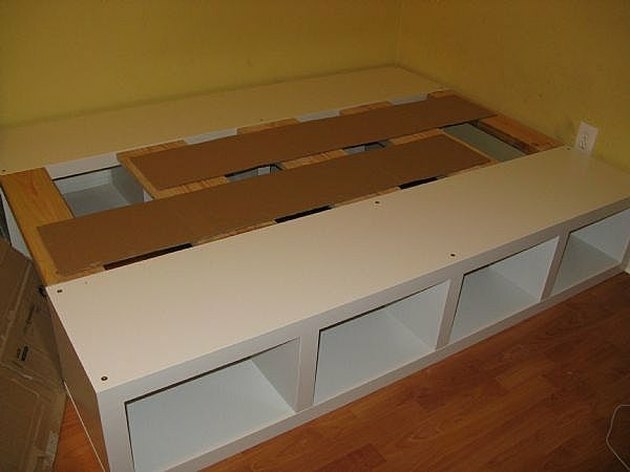 If you are feeling resourceful, use part of your IKEA shelving unit boxes and secure to the wood using a staple gun. Cover the top to protect your mattress. 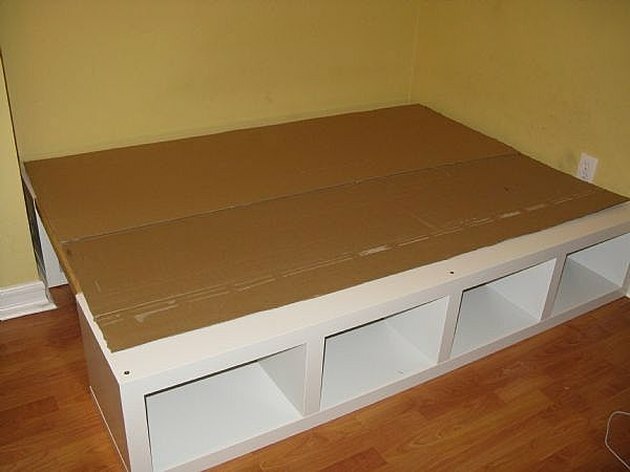 Again, more of your IKEA box will do the trick. 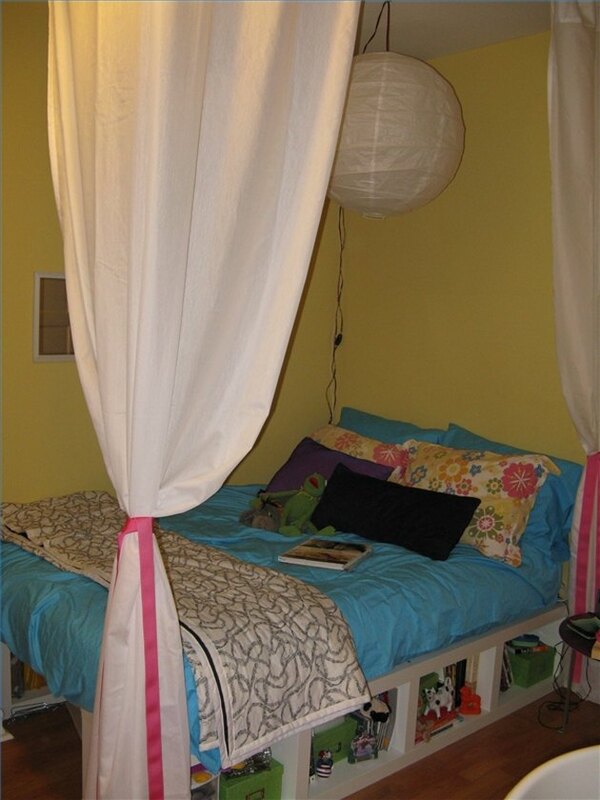 Place your mattress on top of your new platform bed and enjoy!